﻿﻿With foreclosures up sharply in the Portland metro area and prices off 15 percent from the market highs of a few short years ago, bargain-hunters are out in full-force. A good number of these shoppers are first-time home buyers, anxious to take advantage of the market downturn. But buyers should tread carefully when it comes to “real estate owned” (REO) properties. Often sounding like no-brainer deals with drastically reduced prices, REO’s entice new buyers and seasoned investors alike. But bidders beware! Take the case of a recent client, an enthusiastic young man who managed to find a house he could afford, a too-good-to-be-true steal at $45K. By the time he got to me, he had paid $3000 by credit card to make a pre-auction bid on the home through a national real estate auction house. His accepted bid required a lump-sum payment of the $45K within 30 days or he would forfeit his earnest money. His plan: obtain FHA financing within the allotted time, in effect financing his purchase. “Let me see… you bought a steal of a deal that’s going to auction, but there are NO SELLER’S DISCLOSURES provided and NO CLAUSE VOIDING THE CONTRACT IF YOUR FINANCING FAILS. In a few days the appraisal arrived. That’s when I discovered that the property had been part of a bankrupted homeowner’s association that failed to maintain the community water and sewer systems. The systems had so deteriorated that the City of Portland was assessing each house for $19,000 for water and sewer connections. Unfortunately, as a pre-auction REO, the Auction Sales Agreement does not contain the buyer safeguards normally found in a real estate contract. My client did not have the benefits of backing out of the deal after viewing a seller’s disclosure, which would have red-flagged the pending water and sewer assessment. Nor did he have the customary 10 day inspection period, let alone the standard fail-safe clause guaranteeing the buyer’s earnest money be returned should he not qualify for a mortgage. Is your lender squeaky clean? 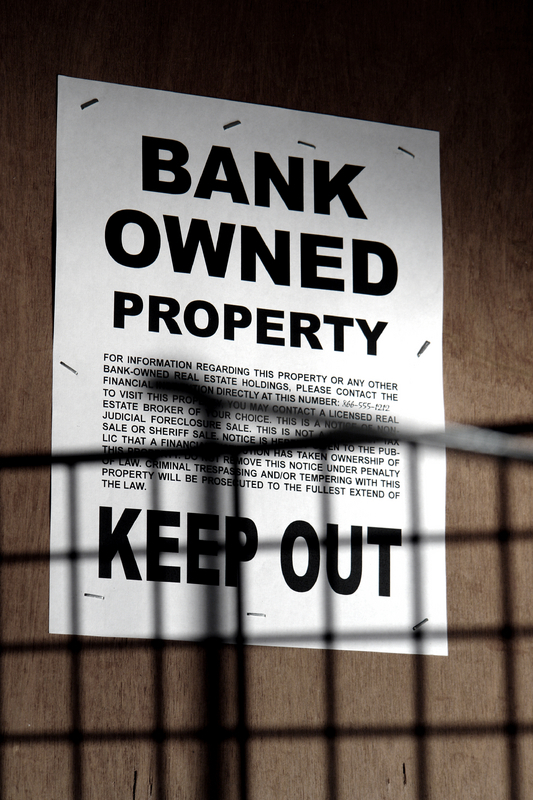 While many unscrupulous lenders and incompetent loan officers have suffered wrist-slapping or lost licenses during the recent financial fall-out and subsequent flurry of consumer protection legislation, mortgage fraud has not gone away entirely. Rather, like TB or polio, it has gone dormant, more or less under control, until certain conditions align to bring it back with a vengeance. Tough economic times are indeed a breeding ground for unfair and careless practices by a few greedy individuals. With low interest rates, tougher consumer loan qualifications, and a stagnant real estate market, conditions are perfect for shady practices. Take this recent case. A prospective client contacted me a few weeks ago. She told me she’d had a call from a mortgage company offering her an attractive rate on a refinance for which they had “pre-qualified” her. She paid the company a $400 appraisal fee, as well as a $200 fee to subordinate her second mortgage. After processing the appraisal order everything looked good…until they asked her for an additional $1100 to “lock” or guarantee the attractive rate. Unprepared for the $1100 out-of- pocket expense, but not wanting to squander the $600 she had already invested, she threw good money after bad and locked her rate using funds she had put aside to pay her upcoming property tax bill. Several weeks went by and the deal went to underwriting where it was determined that the house needed a new roof. Meanwhile her property taxes had come due, and she now faced a costly new roof as a condition for closing the loan. Feeling duped, and realizing that she would be unable to pay her property taxes unless the refinance went through, she called me for advice. Unfortunately I had to bear the bad news: thanks to new federal regulations put into effect last January, appraisals are no longer portable. To switch lenders now, she would lose the $600. It is also unlikely that the lender in question would refund the $1100. Feeling she had no choice, she opted to take funds from her retirement account to complete the transaction. It’s important to understand that many practices that are not illegal can nevertheless harm consumers. And the very regulations designed to protect borrowers, can sometimes work against them. Fortunately there is a new database in Oregon that helps consumers check the credibility of prospective loan originators who are now required, by law, to register. The National Mortgage Licensing System & Registry allows consumers to research loan originators’ employment history and licenses. You can also look up mortgage lending enforcement actions or file a complaint on two state-run websites, the Oregon Division of Finance and Corporate Securities and the Washington Department of Financial Institutions. • Get it in writing. Every piece of correspondence, whether electronic or paper, must have both the lender and loan officer’s NMLS ID numbers. Use the NMLS website to make sure their license is current. • While appraisals must now be paid for out-of-pocket, it is not current practice to require processing or lock fees to be paid up-front. If your lender asks for a lot of cash out of the gate, run the other way and find an originator who will take their fees out of escrow as is the standard practice. • Remember that currently appraisals are not transferable, so do your research before you write a check for an appraisal and expect to pay for a second appraisal if you should have to switch banks mid-transaction. • Check your lender’s references and report any irregularities to the Oregon Division of Finance and Corporate Securities. Don’t assume that the pool of lenders has been scrubbed squeaky-clean by recent global financial events. Thoroughly check-out unsolicited offers before giving out your credit card information!